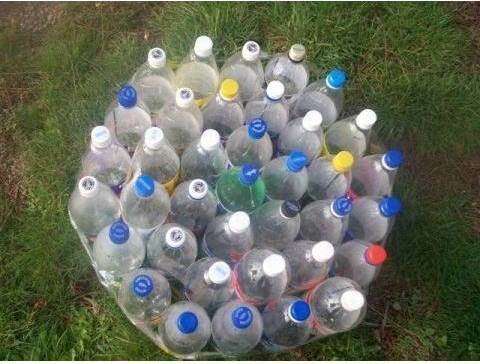 In addition to putting them in the recycle bins, you can always recycle plastic bottles in a better way. There are many creative ways to repurpose plastic bottles into some useful household items. You can even use them to make furniture! 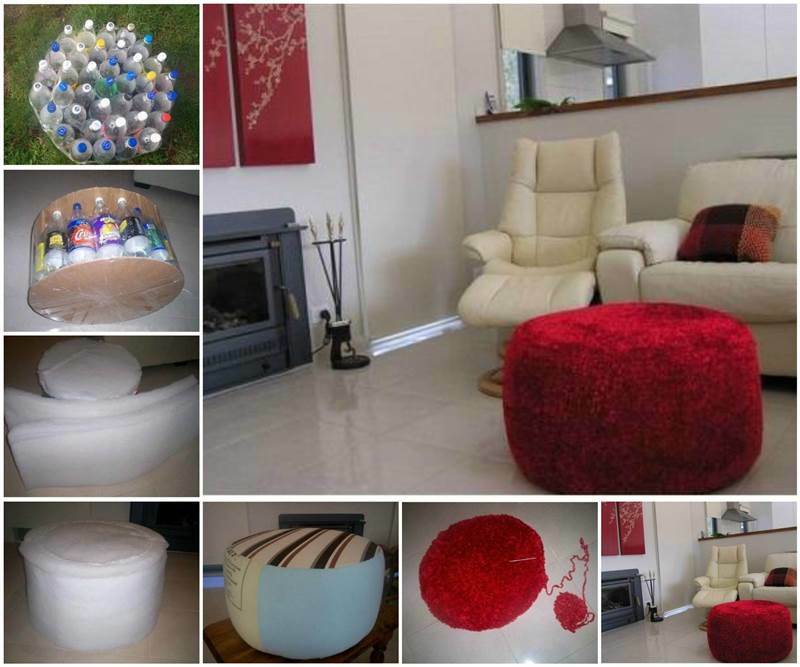 Here is a great DIY idea to make a simple ottoman from recycled plastic bottles. With a little bit of creativity and patience, we can make useful stuffs with something that we are going to discard. This ottoman is not fancy at all, but it’s something you can make with recycled plastic bottles. Isn’t that nice? Let’s get started! 1. Rinse and dry the plastic bottles. 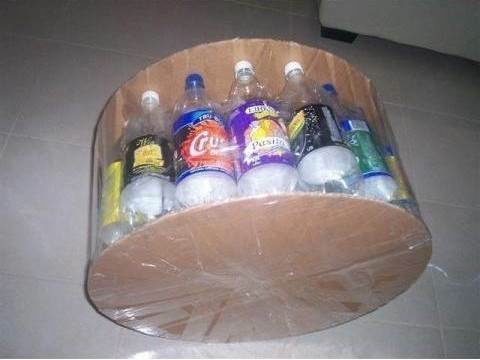 With the bottle caps on, gather all the plastic bottles in a circular shape and secure them with tape. 2. Make two cardboard circular pieces with diameter matching that of the plastic bottle circle. Place them on the top and at the bottom of the plastic bottles. Secure them in place with tape. Now you have the base for an ottoman. 3. Gather two retangular foam sheets and a circular foam sheet. 4. 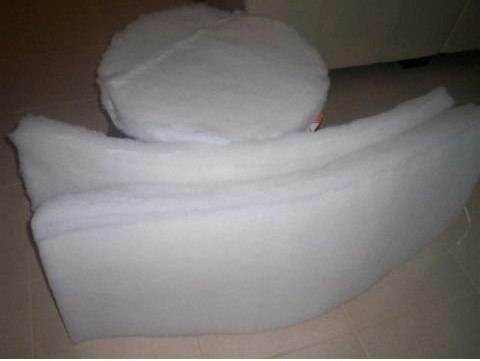 Cover the sides of the base with the rectangular foam sheets and cover the top of the base with the circular foam sheet. Again, secure them in place with tape. 5. 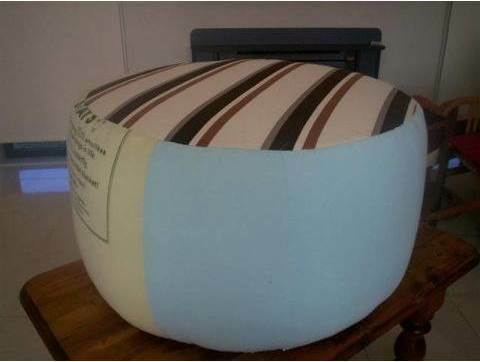 Sew an inner cover for the ottoman from any fabric. 6. 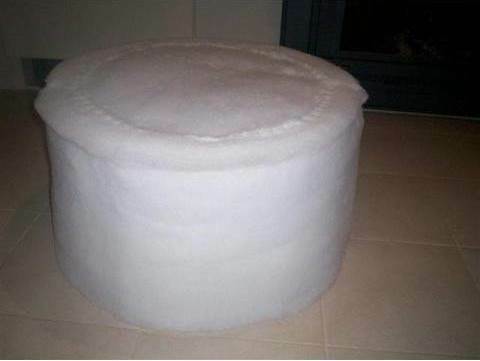 Make a top cover for the ottoman. 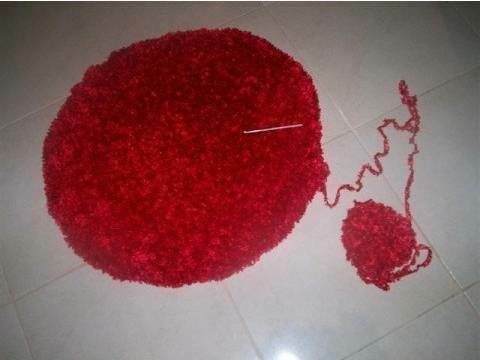 If you like knitting, you can knit this red cover. You can also sew one from other fabrics. 7. 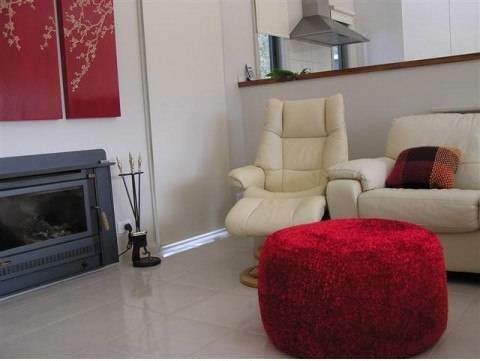 Place the ottoman in your living room for an extra seating. Enjoy!